The hospitality industry is in the midst of a major technology disruption. Hotel chains are exploring data analytics, artificial intelligence, voice-based search, and other tools to transform the guest experience — and are investing heavily in cloud solutions to achieve their vision. A global hotel chain with over $1B in annual revenue was an early adopter of Amazon Web Services (AWS) in 2012. The hotel chain’s IT team continually experiments with new products in order to deliver a more personalized customer experience, and have built a state-of-the-art, scalable, secure cloud platform on AWS to keep up with exponential growth. Now they are currently in the process of migrating an additional 1,000 applications to AWS. However, like many IT teams with large-scale AWS deployments, the hotel chain struggles to track AWS costs. From a business standpoint, they want to ensure that their cloud deployments are efficient but can’t afford to distract their cloud teams from revenue-generating projects. To meet its cost optimization goals, the hotel chain partnered with Logicworks, an AWS Premier Consulting Partner and global leader in AWS cloud solutions. The hotel chain chose Logicworks for our experience working on complex, sensitive projects and advanced tooling. 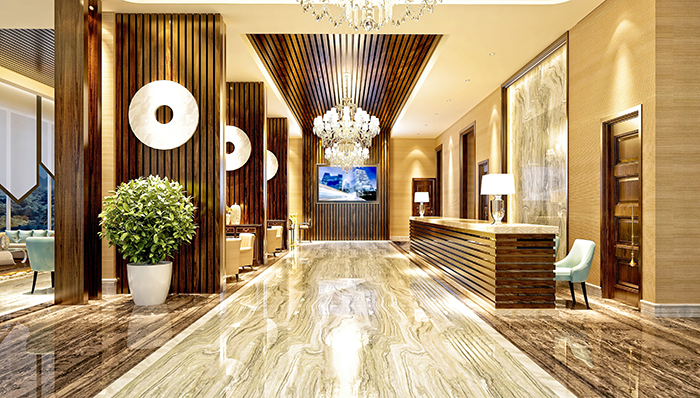 The project began with technical interviews with the hotel chain’s engineering team and business stakeholders to define the goals and direction of the project. Then historical cost data was analyzed, using automated tools to establish patterns and highlight potential opportunities for cost efficiencies. The evaluation included all aspects of AWS services from network configuration, instance size, and database architecture, as well as advanced budget management techniques leveraging AWS Reserved Instances, containers, Auto Scaling and automation of its continuous delivery pipeline. Logicworks identified key cost-savings opportunities that have the potential to save this global hotel chain hundreds of thousands of dollars on AWS. The hotel chain told Logicworks that it found that the assessment process was both extremely thorough and non-intrusive because it focused on collecting the right data without disrupting their internal teams or requiring the keys to their environment. As a result of working with Logicworks, the hotel chain is now executing against an 18-month plan to implement further savings to reduce their rate of cost increase as well as larger percentages of their overall spend. Outsourcing AWS cost optimization reduced the burden on their in-house team, allowing them to continue to focus on core initiatives. By the end of 2019, they will have saved hundreds of thousands of dollars on AWS and plan to implement these same cost-saving strategies on future projects.